Our main goal is to eradicate the Kapitalist, institute Communism? to other nations and finally bring peace to this world. 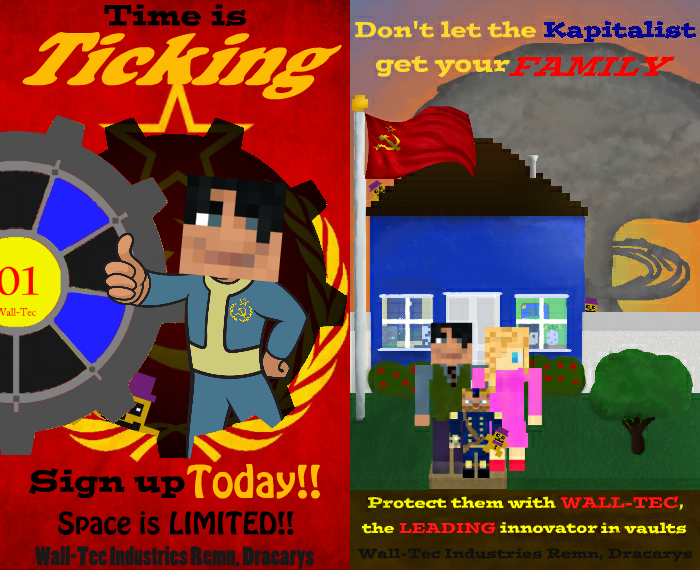 Here at Wall-Tec, we believe in a brighter future, a future where peace and love dominate. Of course in order to achieve a future like that, we would have to first endure various "extremes". 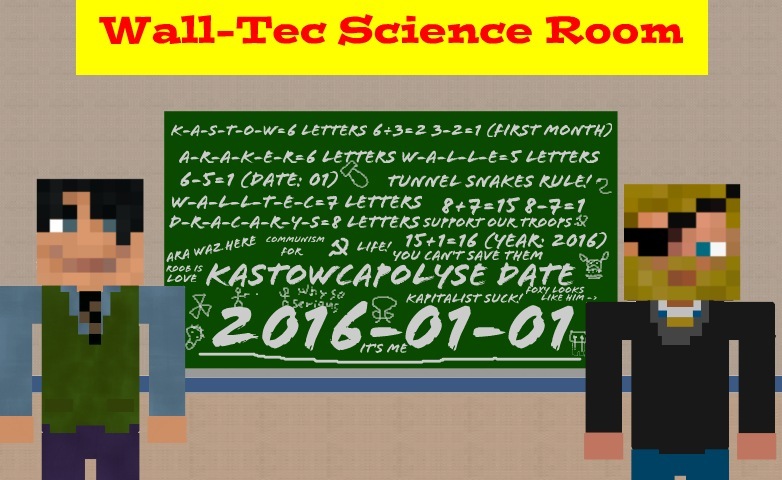 With that in mind, we would like to congratulate everyone who survived the disastrous Kastowcapolypse, which our scientists had predicted. 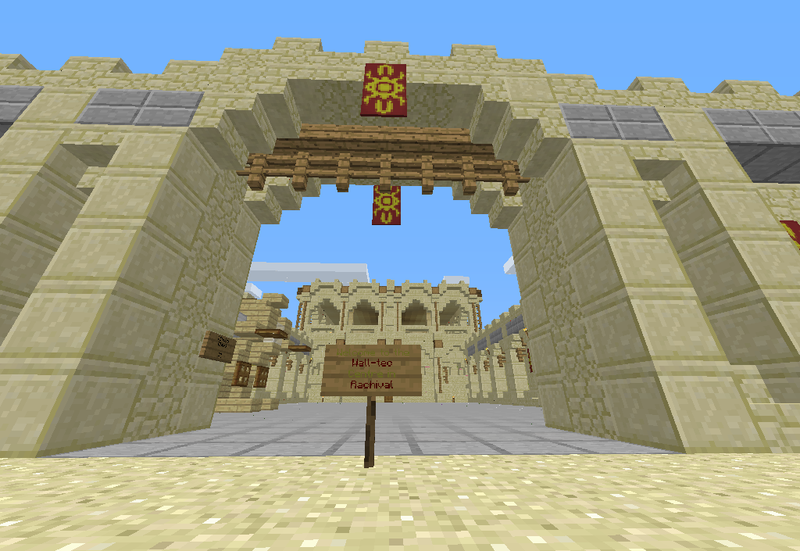 Currently we are looking for new members to join this noble company. Members receive numerous benefits from joining, like travelling to various places in the world, fun experimenting with dangerous substances, and free access to inspiring speeches at our HQ. You do not have to be part of Lordaeron to join. All you have to do is come in contact with one of our representatives, swear your loyalty to Wall-Tec, and sign the contract*. Our headquarters is located in Remn, Dracarys, and our company is not involved entirely in Lordaeron's politics. *We are not responsible for any deaths or injuries caused after signing the contract. We are also not responsible for any "testing of substances on your body" causing any permanent defects. I can see the hammer and sickle at the HQ from space. Yes, we made sure for the symbol to be seen from space so kapitalist aliens know they are not welcome here. Great job on the post Ara, now remember people, you're only mindless sheep to the kapitalists. 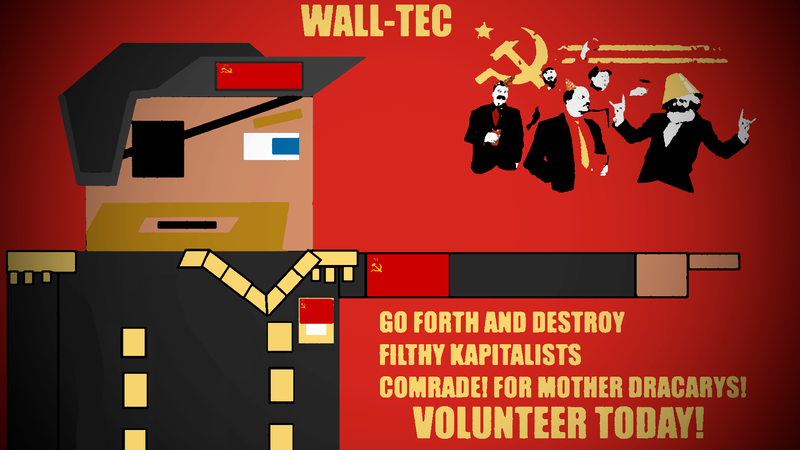 Only in communism can we be equal, so volunteer today! 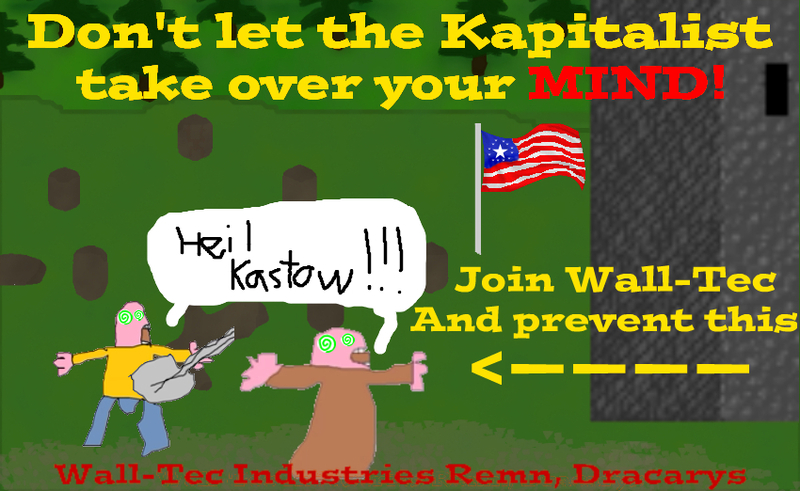 It's time to rise against evil kapitalist and free our comrades from brainwashing. But do not be fooled, the nazis from Andorhal and Stratholme are also our enemies, they go against our visions of the future and our visions of equality. 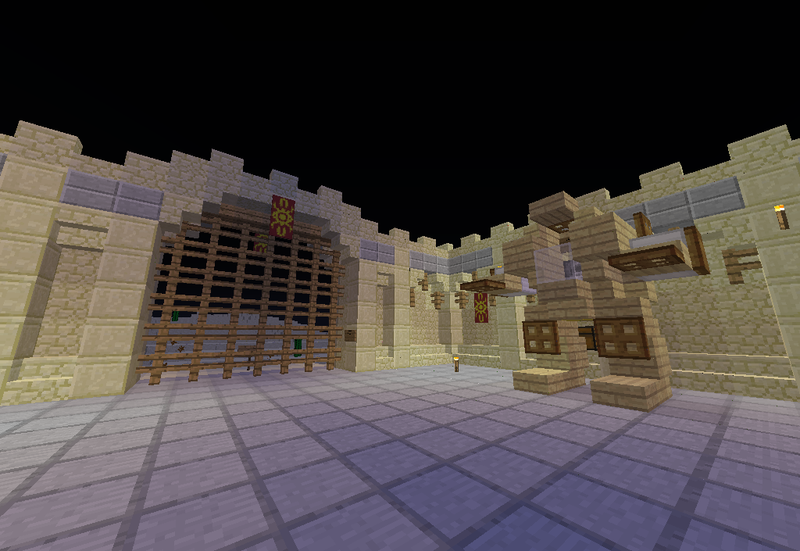 Thanks to the help of Witty, Witty and I have created the FIRST Wall-Tec base located in another's faction land! 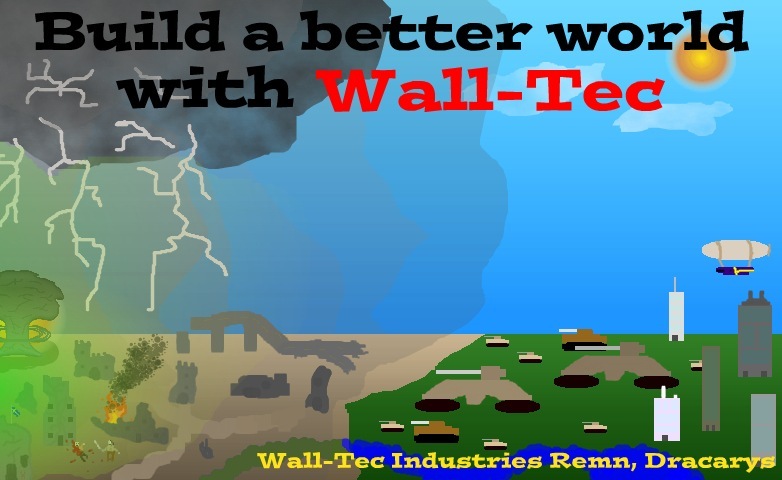 Remember, you can too help Wall-Tec in its goal by forming an alliance or by lending land to Wall-Tec. How are you different, you commie pigs, from those Kapitalists you claim to hate so much? Your shows of decadence can be seen for miles around. How dare you imply you work for the good of the people when your capital city houses none but your luxurious elite and diamond thrones! I spit on your hypocrisy. Have you all seen not the ravens of Ascalon? In truth, they are but crows who will sound the death of all good in this world. I curse thee, Wall-Tec scum. Well the communism really only exists in Remn, Oceanna and Sylvania. And Remn has never even had a throne. The only difference between me, the duke and the common people is that I live in a slightly bigger house.